Oh. my. gosh. This is the last chapter of this story. INCREDIBLE! It&apos;s amazing to now have gotten this far with two stories, and I never would have been able to do this without you guys. Thank you to everyone who reads, especially those who wait eagerly for every chapter to come out on Wednesdays and Saturdays, and those who comment every update. You are all so awesome and I have no words to describe how much I appreciate every single one of you. Begin Again has also, in fact, passed United As One in reads, votes, AND comments; it&apos;s crazy! 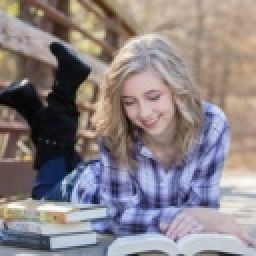 When I started Wattpad, I never imagined I&apos;d get this far. Begin Again is in the top 3 for &apos;Cube SMP&apos; guys!! Thank you all so much! 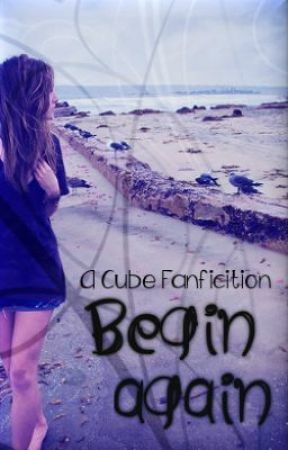 So, here&apos;s what you&apos;ve been waiting for; the epilogue of Begin Again. I worked hard on it, so I really hope you enjoy! Remember to follow @code_cherry on Twitter and Instagram, and to vote and comment for this awesome finale. Without further ado, here&apos;s your epilogue! “Are you ready yet? We’re going to be late!” exclaimed Maddie, and I could imagine her crossing her arms outside my bedroom door. I quickly yanked my robe over my head and snatched up my hat, checking myself in the mirror. I emerged from the bedroom and Maddie was already dressed; she smiled when she saw me. “You look awesome, Elise! I can’t wait to see the look on the guys’ faces! Let’s go.” I followed her down the stairs, where my mother was waiting for us with a huge smile on her face. “Okay,” replied Maddie, and the three of us piled into the car, and I watched the house fade into the distance. We were immediately ushered inside by one of the freshman teachers, and I waved to my mom before hurrying after Maddie. She dragged me through the crowd of black robes and yellow tassles until we found them. “Hi guys!” she yelled as we ran up to them. They all turned to see us approach. Grins spread across each face. “Wow! You two look amazing!” commented Jordan with a coy smile. He shoved me back. “Still,” he answered, grinning. A tap on the shoulder caused me to spin around, and I melted into the kiss when I did so. A moment’s pause, and then I broke away. “Hi, Sean,” I greeted, pink tinting my cheeks. He took my hand and nodded. “It feels like only yesterday I was asking you to the Fourth of July festival.” He gently led me over to the others, and I was swept into a whirlwind of chatter until the principal stood on a desk and gave us instructions through a megaphone.